The John P. Chesick Scholars program is a four-year academic mentoring and leadership program for talented students with recognized potential. Fifteen exceptional Haverford College students from either underrepresented, first in their family to attend college, or under-resourced backgrounds will receive a unique opportunity to explore intellectual life, pursue research projects and develop intensive one-on-one relationships with faculty mentors within a supportive community of scholars. The Chesick Scholars program begins with participation in an intensive pre-freshman interdisciplinary summer residential program that offers credit-bearing college courses designed to hone the skills and cultivate strategies necessary to flourish in Haverford’s rigorous college environment. The Chesick Scholars Program is designed to extend mentorship over the participants’ four years at Haverford, and Scholars can spend subsequent summers in research activities with their mentor or other funded internships or programs of study. Students selected to be Chesick Scholars can have interests in any of the three divisions of the College: social science, humanities, or natural science. The program is named in honor of John Chesick, Professor of Chemistry from 1962–1999. John is remembered as a mentor who consistently stressed the importance of foundational precepts as the basis for academic and scholarly success. There is also a research internship fund in the Chemistry Department named for Professor Chesick. 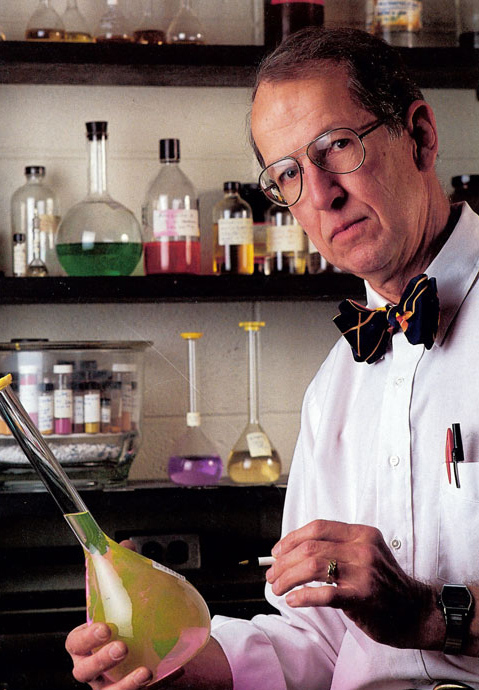 Read John Chesick's article "A Global Experiment: CFC's and the Ozone Crisis" from the Winter 1992 issue of Haverford magazine.